A significant portion of the US population is now using multiple prescription drugs and vaccines from infancy through adulthood, even though there has never been an evaluation of multiple drug and vaccine use in humans to determine the effect on long term physical and mental health. If Americans have become drug and vaccine junkies, then medical doctors who promote and prescribe biological and chemical products made and sold by the pharmaceutical industry have become their suppliers. 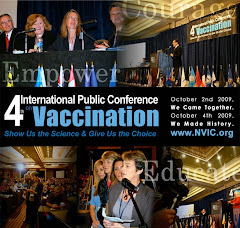 Although drugs and vaccine(s) prescribed (or mandated) by doctors can sometimes cause profound negative changes in brain and immune function, there is little effort made by the pharmaceutical industry and doctors profiting from mass drug and vaccine use to evaluate potential negative effects or take steps to minimize them. Vaccine induced brain inflammation, which has been the hallmark of severe reactions since the first vaccine - smallpox vaccine - was used on a mass basis can be mild or severe and damage the developing brain of a child, permanently altering behavior, personality, intelligence, emotional stability, and physical ability. Drug induced chemical changes in the brain can also negatively affect important aspects of normal brain function. Instead of spending more research dollars to create new drugs and vaccines, the pharmaceutical industry should first find out why drug and vaccine complications occur and who is at high risk for suffering them. An epidemic of chronic physical illness and disability, along with an epidemic of depression and violent behavior, in American children and young adults has developed during the past quarter century. Although economic and social factors influence health and behavior, the possibility that environmental insults are causing significant damage to brain and immune function in a growing minority of children is very real. 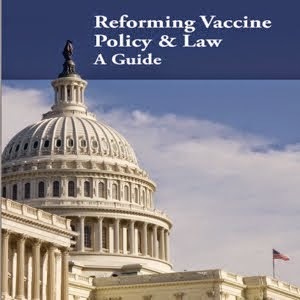 Too much prescription drug and vaccine use cannot be discounted as one of those environmental insults, which could result in greater or lesser damage, depending upon genetic and other biological variables. If a substantial minority of violent inmates in prisons and mental institutions are brain damaged, we ignore at our peril the potential role that prescription drug and vaccine-induced brain dysfunction plays in the epidemic of chronic illness and violent behavior plaguing America. We owe it to future generations to find out just how big that role may be before more drugs and vaccines are prescribed and the epidemic gets worse.